Oenothera grandiflora L’Hér. in Ait. Large-flowered evening-primrose is native to the southeastern United States, and rarely appears in New England, where it has been collected only in Vermont. 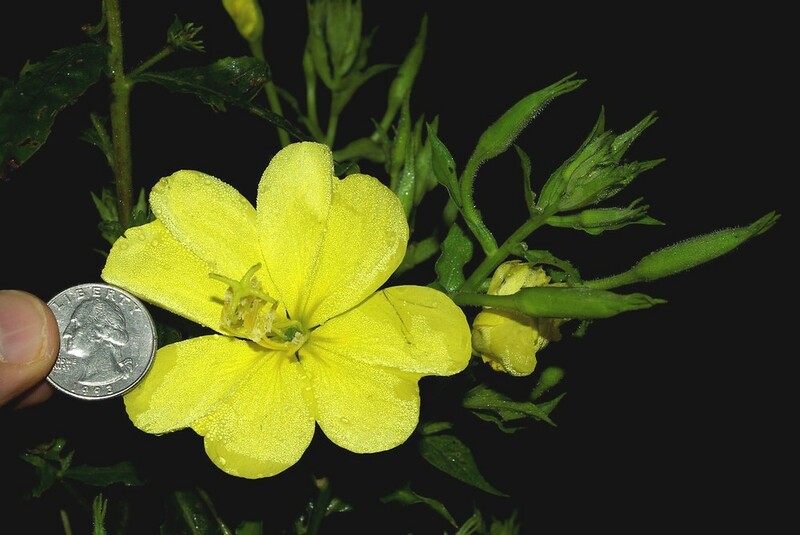 Plants commonly found in New England and identified as this species are more likely garden evening-primrose (Oenothera glazioviana), a garden plant that naturalizes widely. apical half of stem, hypanthium, sepals, and ovary conspicuously pubescent, some of the hairs red and pustulose-based, and sepals yellow-green and usually tinged with red or striped with red or sometimes entirely dark red (vs. O. grandiflora, with the apical half of stem, hypanthium, sepals, and ovary glabrous or appearing so without magnification, the pustulose hairs when rarely present translucent, and sepals yellow-green or sometimes tinged with red). Oenothera biennis L. var. grandiflora (L’Hér. in Ait.) Lindl. 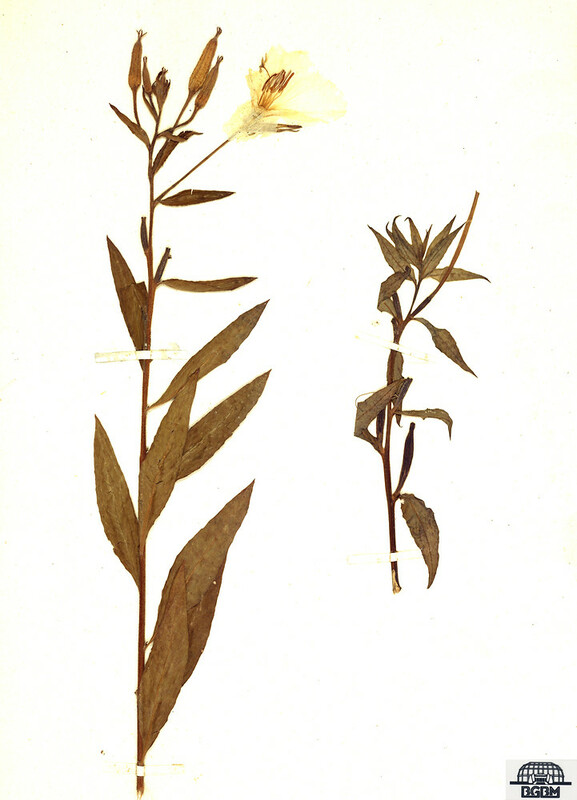 Oenothera grandiflora (L’Hér. in Ait.) var. glabra Seringe in DC. 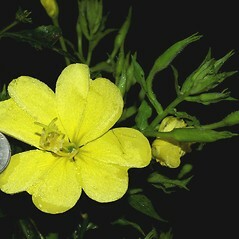 large-flowered evening-primrose. Oenothera biennis L. var. grandiflora (L’Hér. in Ait.) Lindl. 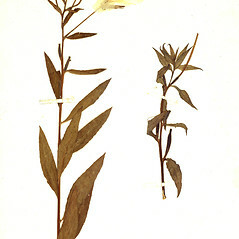 ; Oenothera grandiflora (L’Hér. in Ait.) var. glabra Seringe in DC. • VT. Gardens, waste areas. This species has long been considered native to Europe by some authors and has been reported from throughout much of New England. However, it is actually native to the southeastern United States and is a very rare introduction. The introduced plant from Europe is Oenothera glazioviana, which is much more commonly planted in the region.